Are you a CicciaBellan girl yet? If not, you should be! 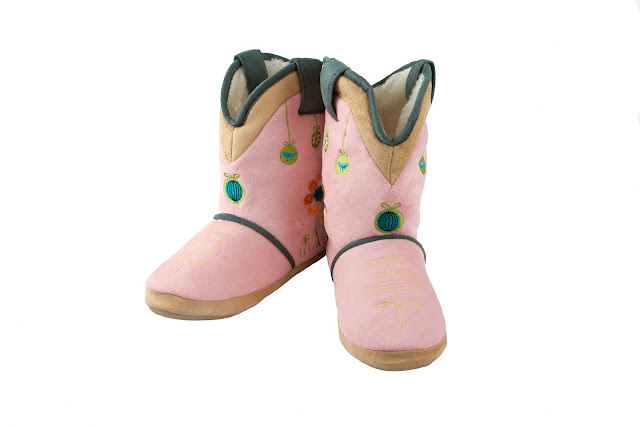 I discovered these trendy Western inspired slippers that every little girl would love! Moms too! 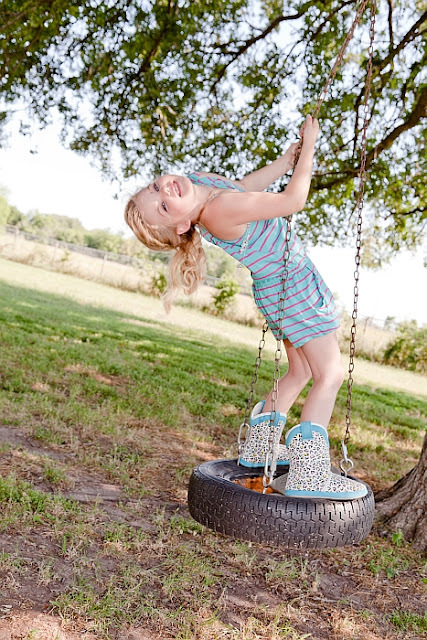 They are chic, comfy-cozy and great for both indoor play and outdoor wear! 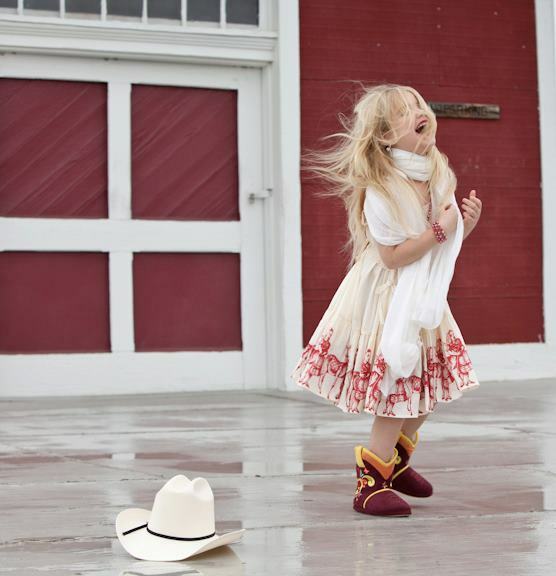 The CicciaBellan style is known for its combination of playfulness, fun and fashion as typified in the butterfly logo known as the "pretty little one." What I love about this brand is the attention to detail. You would know its a CicciaBella by the footwear's impressive detailed stitching, fun fabrics and its signature butterfly logo impressed on the bottom of the soles. But what is really unique is the construction. They are made out of TPR which makes them tough enough for outdoor wear. Tough enough for their spokesperson, TLC's Reality star Eden Wood from "Toddler and Tiaras," and "Eden's World" during their catalog shoot on a farm with chickens, horses and zebras (oh my), with the talented and creative photographer, Ashley Kelly! 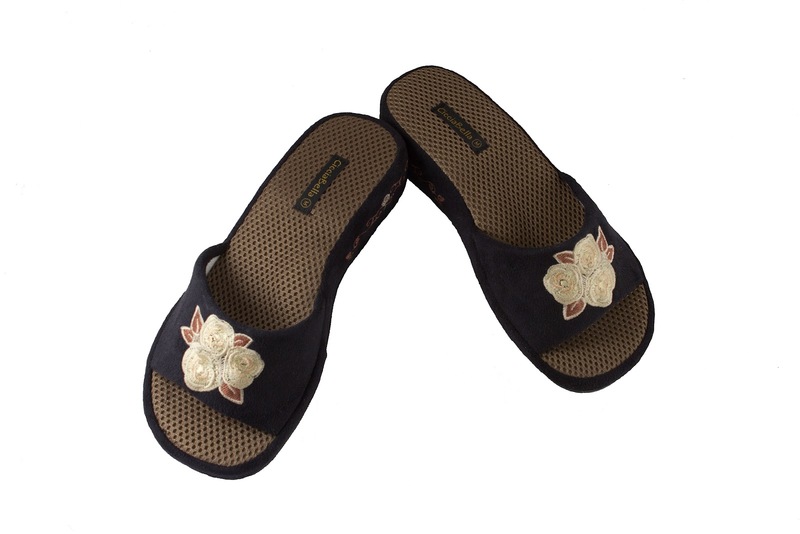 SUPPORT SLIDE SLIPPERS FOR MOM TOO! 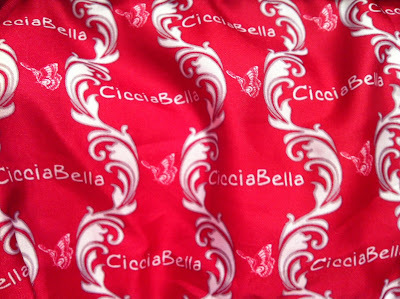 Mod Design Guru was able to interview the creative owner of CicciaBella, Adria Laxson whose story is very interesting. "I sold CicciaBella in my retail location, Ceil gallery since 2003. I fell in love with the slippers while shopping in my hometown and had to have them to sell the day I opened my store. In 2007 I did some designing for the company and got a pass to do so anytime in the future. When it came time for the previous owners to retire they thought of me! I bought the company in 2010." 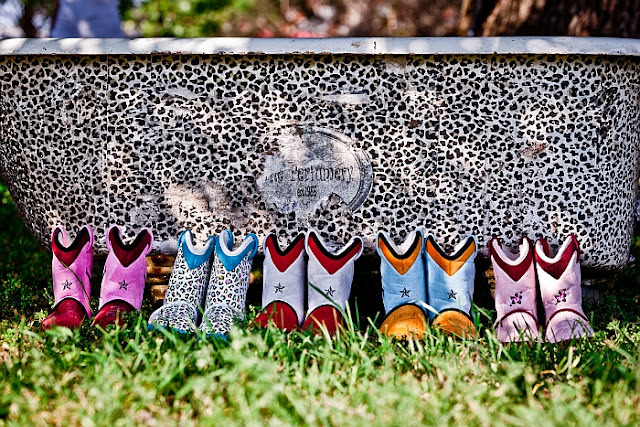 Mod Design Guru (MDG) was curious about what inspired the Cowgirl rider collection since it is a big hit amongst young girls. Adria gives crdit to the previous owners for the original Cowgirl Rider collection. She adds, " the Farinas are an amazingly creative couple who have helped guide me since taking over their baby. As for me, I'm bubbling over with ideas and consistently have to scale it back to make it fit in a season. Much of my inspiration is to give what once was their baby, now mine, the attention it deserves to make the Farina's proud." MDG thinks Adria's design sensibility is very hip and very now! 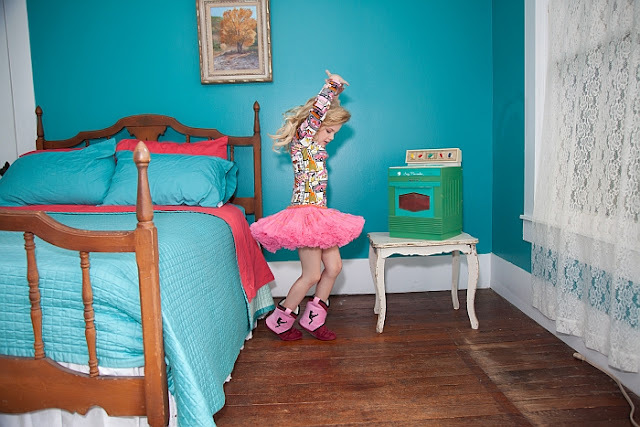 Learn more as Adria gives us more insight into her catalog shoot with reality star Eden Woods, her inspirations from her travels and a peek into her future handbag line! How did "Toddlers and Tiaras" reality TV star Eden Wood, come to be the company's spokesperson? Eden Wood was invited to our Debutante Fashion show hosted by Kelly Bensimon for Fashion week in September of 2011. From that point forward we knew it was a match made in heaven because we adore Eden! Communication for a deal began instantaneously. Your catalog for the collection is very creative. 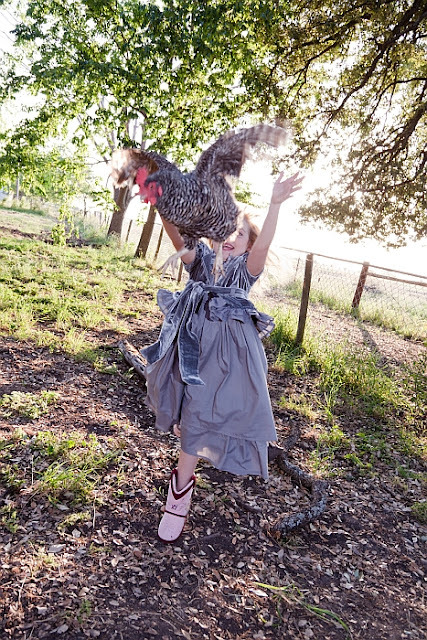 Take us behind the scenes of your shoot with live animals, reality star Eden Wood and photographer Ashley Kelly? Originally we were introduced to A-list Dallas star, Ashley Kelly, by publicist Andrew Sullivan. Now, she is officially a CicciaBellan. Each season we join forces to create something new and even more fabulous than the last. This last time we had a zebra, miniature horse, chickens, hay bales, longhorns and we have to mention a vintage leopard tub! Who knows what the next will hold but we know it will have to impress. How has your travels sparked design inspiration? 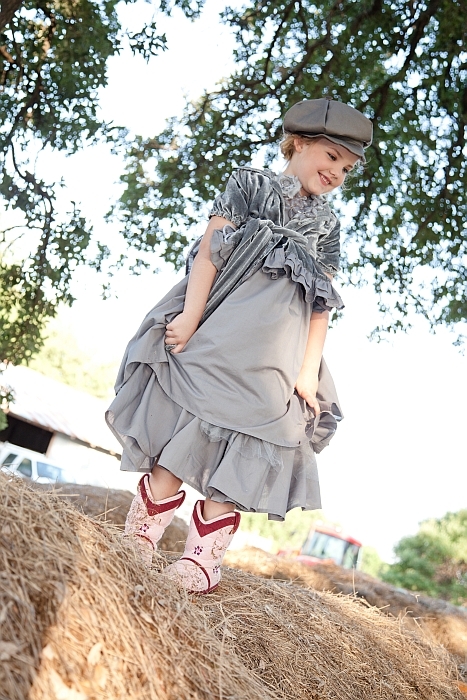 What interesting fabrics, colors, textures have you applied to your collections? Obviously traveling has only increased the love of lux fabrics and fantastic colors. Just this last February, directly after our Pop-Up Fashion week event, I found the most fantastic brocade material at a Shanghai market that actually literally sparkles. We’re not talking gaudy at all, actually very demure but with actual hints of sparkle. After the glittery event it seemed right in line for our Fall 2012 line. When better to bring the sparkle than the holidays? What line are you most proud of and why? Honestly, I’m most excited about the handbags we’re about to come out with in the Fall! We like to spice it up and not follow the rules! Obviously, they will be in line with our price points and have our classic CicciaBella style. We know our CicciaBellans will love them. What is your ultimate goal for your brand and strategy for success? Really, as cheesy as it sounds I want to always love what I do and that's exactly what I do. As a company, we'll always adjust to the current market situations and make it work but we realy do this for love of fashion. Period. Thank you Adria for an awesome interview! I can't wait to see the new handbag line! 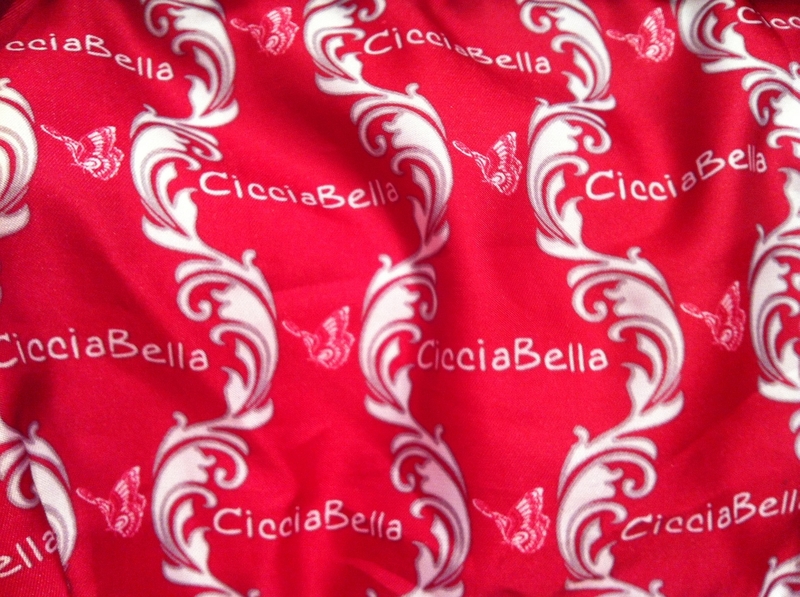 You can find Ciccia Bella on their WEBSITE, FACEBOOK, and TWITTER! Mod Design Guru Fanpage! Ciccia Bella donated the most adorable pair! So click LIKE, so you don't miss out!